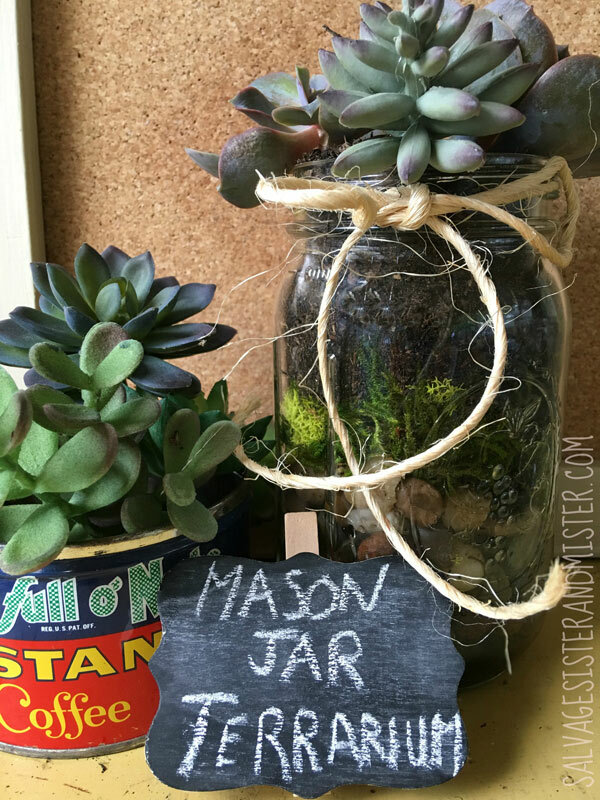 I am so happy to be here today showing you this easy upcycle Mason Jar Terrarium! My name is Deborah, and I blog with my husband at Salvage Sister & Mister. Our mission is to assist you in salvaging your time, money, resources, and moments for your best life. One of the BIG ways we do that is upcycle projects, but we also cover family, food, and life. We love making the best with what we already have. Who doesn't love mason jars, right? You can also find them just about everywhere....even your spaghetti jar. I had some succulents left over from a wedding I attended and thought a mason jar terrarium would be just the ticket to put some of these items into use. Affiliate links used so you can find any products you might need for this project. Click on the link to see the exact or similar product to what we used. Step 1 Make sure the jar is clean and all labels have been removed. Step 2 Fill the bottom with small rocks. You can use ones from your yard or purchase them. The cleaner they are the prettier it will look. Step 3 Add a layer of moss. Step 4 The next layer is potting soil. A big thanks to Kim for allowing me to share this project.....AND I appreciate all of you for hanging out with me today!